DUL unload scanned lobsThe idea is to unload lobs just from the lob segment.We need to find out:1. Is it a clob or a blob2. for clobs the character set, single byte or UCS16, byte size3. the chunk size, lob page# in the header is a fat page number4. missing pages should be emitted as all zeroes5. 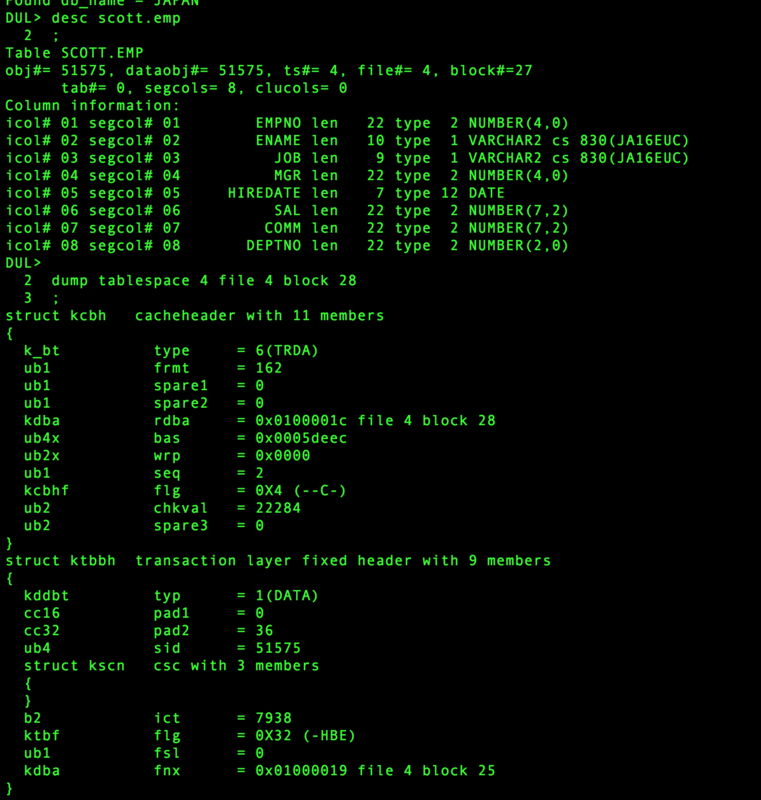 size is unknown, simply strip off trailing zeroes (but respect byte size)?Changes implemented:1. Add lob segment id to scanned lob page info as most properties apply to the segment. that is the layout ofthe scanned lob pages cache is now: segid, lobid, fatpageno (chunk#), version wrap, vsn base, ts#, file#,block#Things to do:1. Command to unload all lobs a lob segment provide all common properties in the command2. Command to unload a single lob from lob segment specifying lobid, optional size, and optional dba list3. 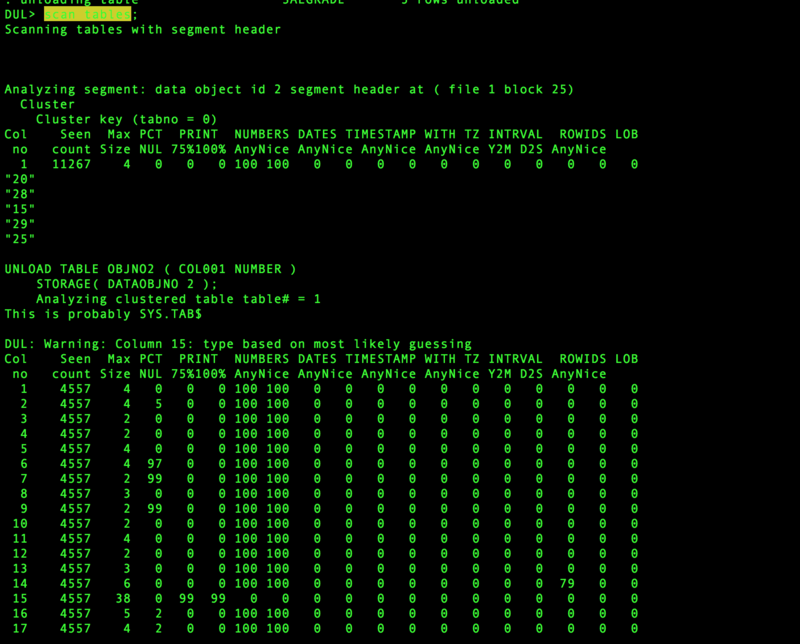 Analyze command to produce command to unload lob segment4. Analyze command to produce commands to unload each lob from segmentThings to consider:1. change file#, block# to a single dba? pro no calculations, contra more difficult to read? I’m working with a client on a data salvage job. The DUL tool downloaded from DUL website is not working!!! dul4x86-linux.tar.gz is giving me error: version ‘GLIBC_2.11’ not found dul4i386-linux.as3.tar.gz is giving me error: You need a more recent DUL version for this os. Client linux version: 2.6.32-400.33.2.el5uek Please help!!! There are two versions for linux and it is the second one below that is starting correctly. Because of the built-in copy protection, you must be sure to download the most recent version from Bernard’s website. If you do actually have the most recent download, then only Bernard can recompile and redistribute a new executable version. DUL expires approximately every 45 days. We have a very critical situation that requires DUL to extract data from a production down database.- The database is in NOARCHIVELOG mode / Windows 64 bit platform.- There is no backup available of the database since go life – The database size is almost small but critical.- There was a media failure since morning that corrupted all database data files except the datafile of real customer data.- System tablespace is 100% corrupted as per db verify utility output.- There is no backup for the system tablespace any where, even the test system is created as a new database, thus object IDs, rfile numbers are not the same.We tried the following:1. 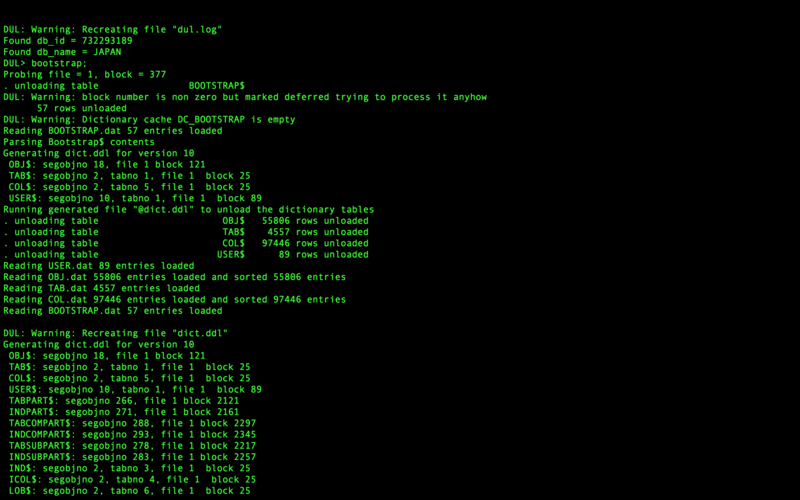 Unload data using system datafile from production (Failed to bootstrap as system datafile is corrupted)2. Unload data using system datafile from TEST (Succeeded to bootstrap but failed to unload as miss match in rfile#,ts#, and object IDs .. expected result but worth trying)3. 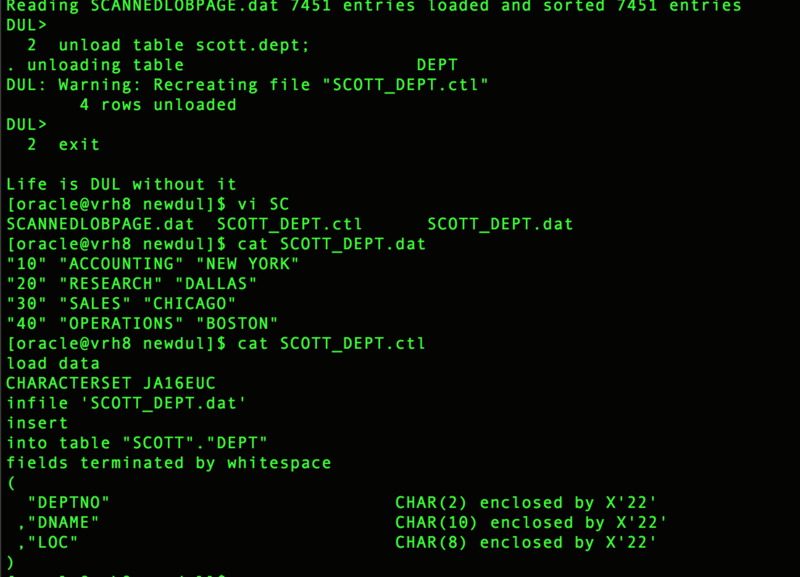 Unload data using only the Datafile of actual data, succeed to generate the scaned_tables and we’ve requested from customer to provide the list of tables to be able to map, but i doubt they can provide clear information.Appreciate suggesting any alternatives if any, something like:- Is there any way to fix the corrupted system tablespace datafile and use it for data unload.- Or, Is there any way to use system datafile from TEST (different database as new installation) where there is a miss match in rfile#, ts#, and object IDs.